Artisan made in the hills behind Byron Bay - Valor makes shaving a more pleasurable ritual with old-fashioned methodologies of Brush and Razor for men who want simple and natural that works. 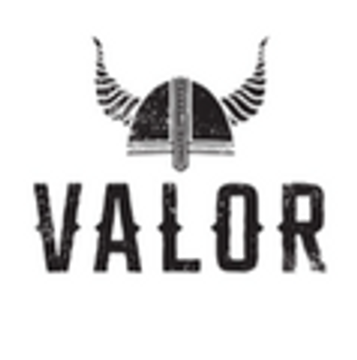 For the Bearded man Valor makes a unique range of nourishing, aromatic and Organic Beard Balms to cultivate healthy skin and whiskers and leave a man smelling like temptation itself. Valor have spent seven years perfecting the Valor Organic Olive Oil Shaving Soap which is free from Palm Oil, contains mainly Organic Australian Olive Oil and is cured for a minimum of 6 weeks. Valor is committed to using carefully sourced Organic and Fair-Trade ingredients, including: Organic Australian Olive Oil, Organic Macadamia Oil, Organic Avocado and Hemp Oil, cold pressed Fijian Certified Organic Coconut oil, Argan Oil, Borage, 100% pure Essential oils and Organic and Fair-trade Cocoa and Shea butter. All Valor products are FREE FROM Palm Oil, Synthetic Fragrance, Chemically Refined Oils, Synthetic Foaming Agents and Parabens. Valor packaging and labels are recyclable. Valor have several suppliers from NSW and South Australia; one supplier is Certified Organic, one is Biodynamic (uncertified) and one is Organic (uncertified) - for this reason, Valor is not Certified Organic, however they are working towards that. “Palm Oil is not a necessity – just a cheap alternative for multi national companies and soapmakers who don’t care enough not to use it! “ – Shave with Valor.